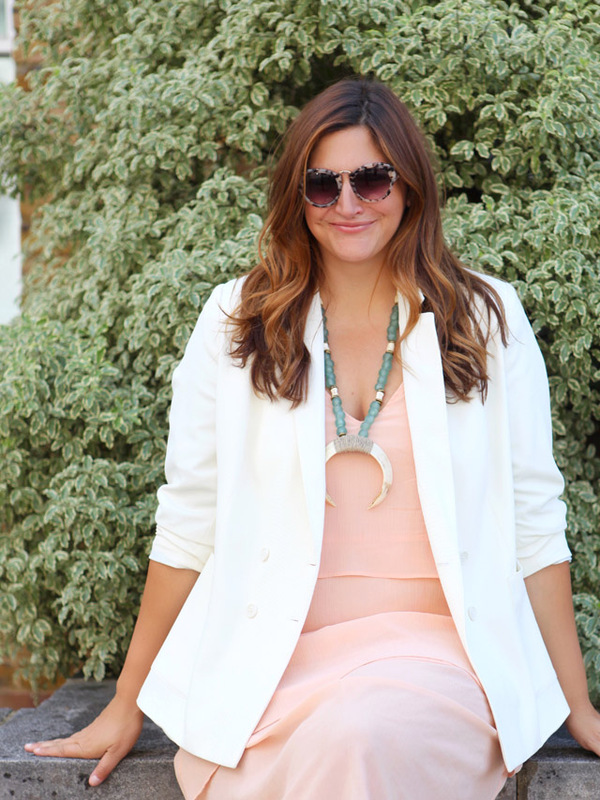 Style Update: Pastels and chunky necklaces! I seriously wish someone would sort out the shift in seasons. Everywhere I go at the moment I'm looking at autumn clothing already and it's only just starting to heat up around here. I'm headed to Florida on Saturday so hoping I can find some sunny solutions when I get there. Get ready, Fort Lauderdale, a serious shopper is headed your way. Today's outfit is mostly a "hey, this is all on sale" moment. This dress is only £15. Do I need to say more? Ok, I'll say a bit more. This Empire State Finery necklace has been on rotation in my wardrobe for a few years now and every time I wear it people stop me in the street to ask where they can get one and I always tell them with great pride as I love supporting this brand!